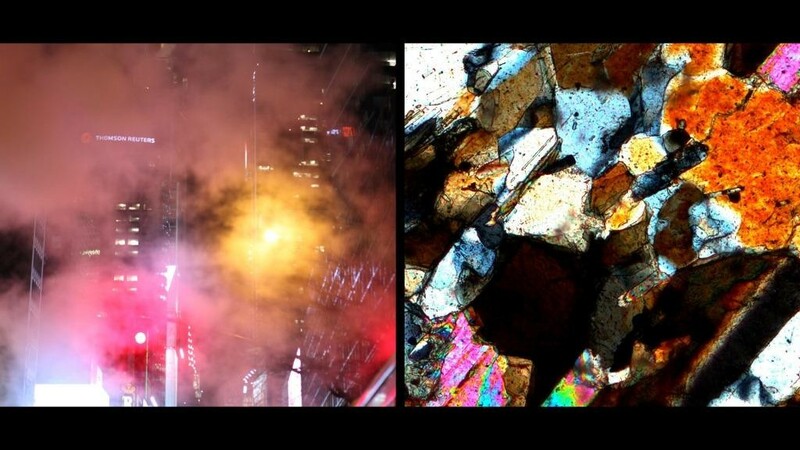 The juxtaposed image structure is an aesthetic and formal exploration of the fabric of the earth as seen from the stage of a microscope and the lens of the industrialized city. Blending cityscape with substrate Fay & Goodwin compliment the imagery with layers of sonic noise: musical representations of tectonic activity, echoes of the universe from deep space and the groans of the restless earth all juxtaposed against the industrial machine ambience of a New York City subway. Mitch Goodwin (AU) is a digital media artist. He is the Founding Director of the Screengrab International Media Arts Award and curator of the associated exhibition program. As a practitioner Mitch has won numerous awards for his digital art and film production and his work has toured many Australian arts and electronic festivals. Mitch has facilitated numerous community programs for young people with private and government sponsored initiatives for emerging artists in Australia and the UK and was the founding Director of the Renew Townsville project based on the successful Newcastle model. Clement Fay (FR) is a geological researcher and has been messing around with saxophone from age eleven. He figured out very quickly that most of the fun was to be had in jazz improvisation and performance. After finishing a Masters in Geology and Geophysics at the University Nice Sophia-Antipolis, Clement became a PhD refugee in far North Queensland Australia. As a researcher, he is focused on understanding deformation and transformation of rocks, by looking at their micro-structures and unravelling large scale tectonic history.